Chauve mont | One quality, the finest. Having two weeks in Paris with no particular agenda is a real luxury. Each day, we look at the weather and decide what we’re in the mood for. 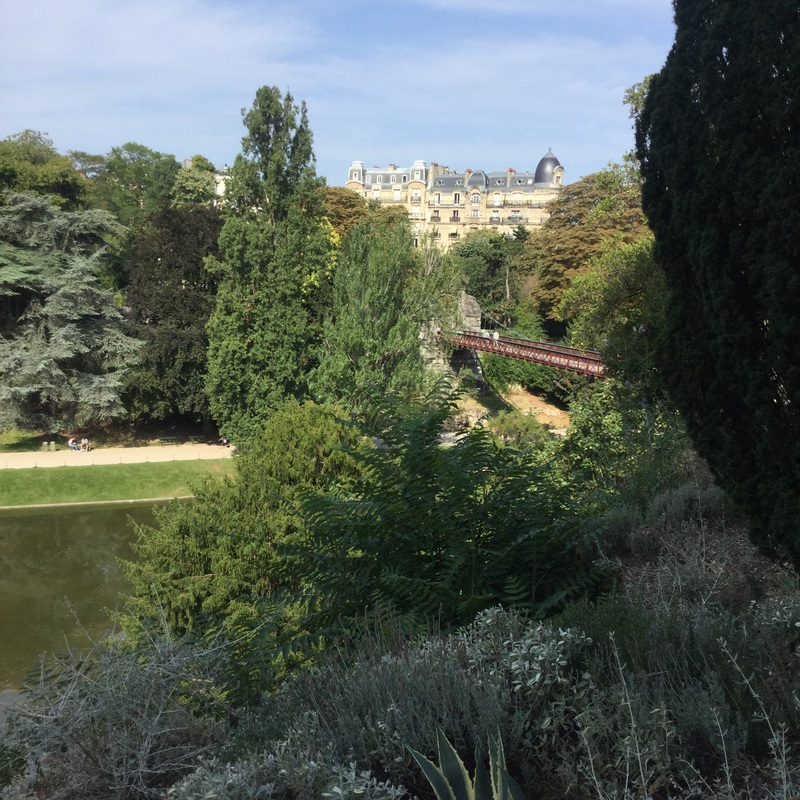 Having never been to the Parc des Buttes Chaumont, wedecided to check it out. Several people had told me that it was their favorite place in Paris. The park is perched high above the city in the 19th arrondissement. It was created during the time of Napoleon III. A less impressive site cannot be imagined. The name, “Chaumont” (show-mohn) comes from the words “chauve mont” (showv-mehn), or “bald mountain,” because nothing grew in this insalubrious spot. A former quarry, place to dump dead horses, and sewage repository, the stench from this nasty place wafted over the whole city when the wind came from the wrong direction. Yuck. One thousand workers shaped the butte with explosives, carted up topsoil, and created a lake. The top of the butte was crowned with the Temple de la Sibylle, modeled after the Tivoli near Rome. The suspension bridge was designed by Gustave Eiffel. From the time that it first opened in 1867, it was a huge hit with Parisians. 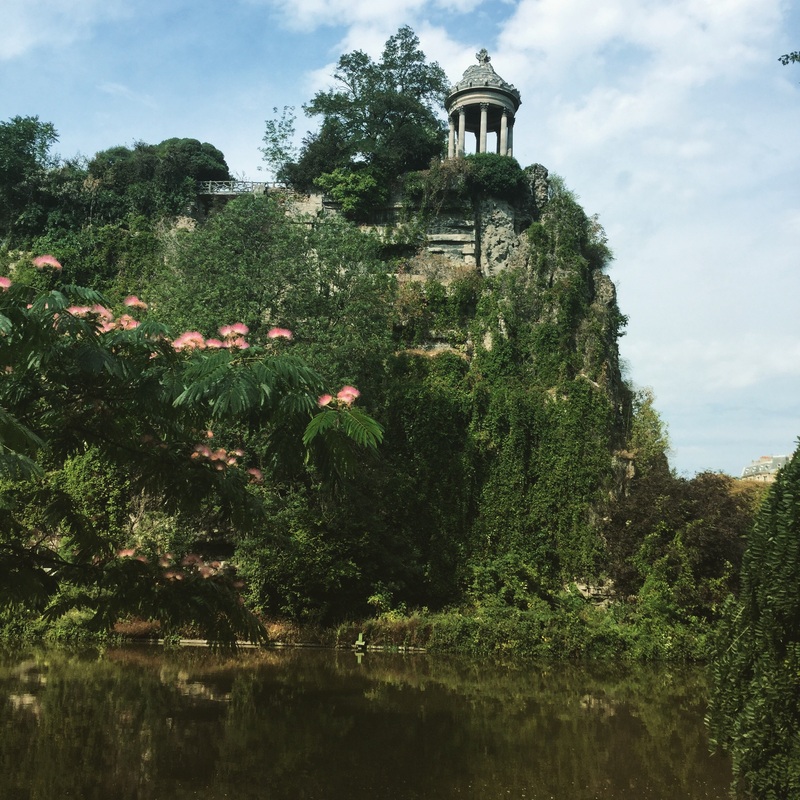 If you’re looking for a picturesque picnic spot or a jogging trail, the Parc des Buttes Chaumont is worth checking out. 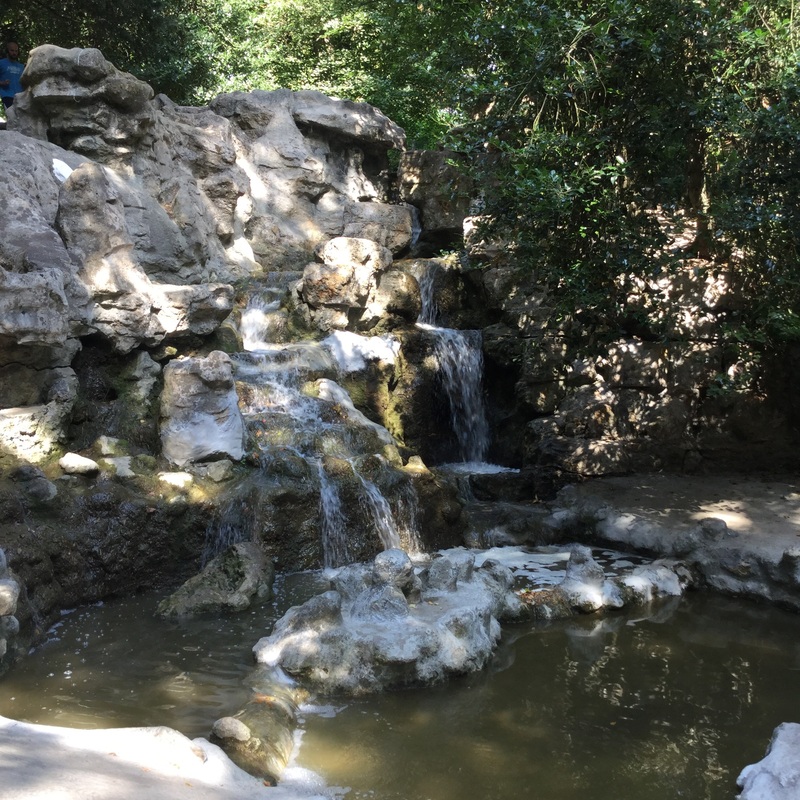 This entry was posted in Travel and tagged Chauve, mont, Parc des Buttes Chaumont, Parisian parks. Bookmark the permalink.